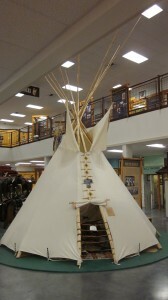 Ranging from a full-sized teepee to delicate beadwork, the exhibits in the Hall of Fame cover a wide range of subjects and span over 100 years of Round-Up and Happy Canyon history. 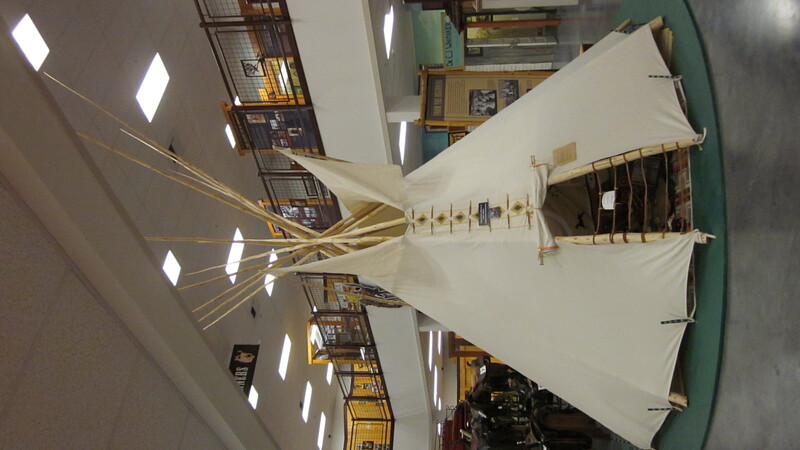 Saddles, clothing, Indian regalia, photographs, firearms, trophies, wagons, … hundreds of items are displayed for your enjoyment. A special section of the Hall of Fame is devoted to our honorees. Look for your favorites on the various memory walls. Each year, a special display case is set up for the current inductees. 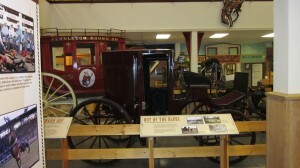 These cases include pictures, clothing, and other memorabilia that showcase the contributions of the honoree. Open** Monday – Saturday 10 a.m. – 4 p.m. Admission: Adults $5, Seniors $4, Children 12 & under free. **WINTER HOURS: Saturdays 10 a.m. – 4 p.m.